Kinsley’s Highway & Bridge group constructs highways, bridges, utility, and other civil infrastructure projects. From our offices in Pennsylvania and Maryland, we work throughout the Mid-Atlantic region. Our customers include federal, state, county, and local government agencies as well as private entities. Our crews and management team have the knowledge and experience to deliver large and complex projects and are equally capable of quickly and efficiently mobilizing to complete small and short-duration engagements. At Kinsley, we see ourselves as the modern-day master builder. When we are engaged in a project, we take full ownership of that project from beginning to end. We understand the needs of the designers and engineers, we understand the project challenges, and we understand the owner’s overall goal for the project. We’re hired to deliver a project, so we put ourselves in the owner’s seat, doing what it takes to get the job done and get it done right. Construction is our expertise – it’s what we do every day. We deliver on our commitments and we take pride in our work because we care about what we do. Whether or not anyone else notices, we decide to do the best job we can and turn over the best possible project because we are master builders, delivering in every respect. 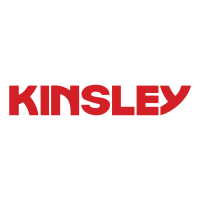 Kinsley is seeking experienced Bridge Carpenters in the South-Central PA region. We are interested in hiring self-motivated, hard-working individuals to perform carpenter tasks on bridge structures in our region. We offer a competitive salary and benefits package including Medical/Dental/Vision, Short/Long Term Disability, Life Insurance, 401K Plan with company match and paid PTO/holidays.